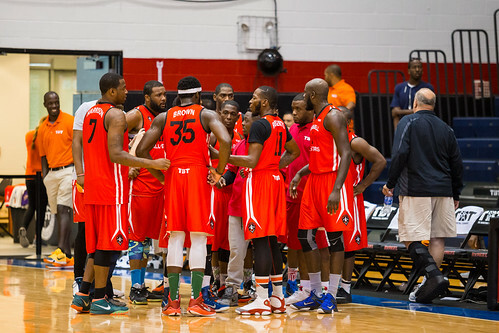 Ask any New York summer basketball fan about the Sean Bell All-Stars and they’ll almost undoubtedly have a story to tell you. 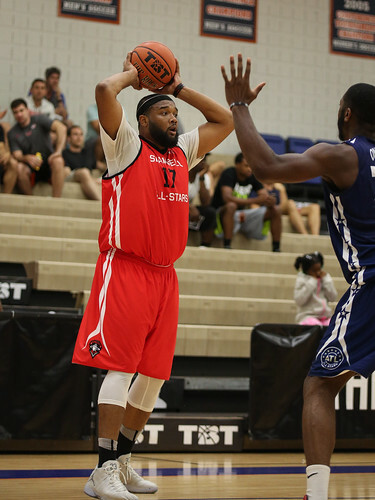 Organized and operated by GM Raheem Wiggins, the New York summer basketball powerhouse brought their talent to TBT, making a run to the Super-17 where they fell to eventual champions Overseas Elite. Let’s see what they’re up to now. James was a hot commodity in 2015, with multiple teams reaching out to the former University of Rhode Island star in hopes of acquiring his services. 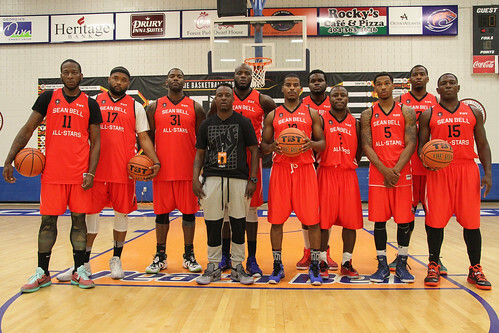 Luckily for the Sean Bell All-Stars they won that sweepstakes. James did not disappoint, reaching double-figures in three of four games, averaging 7.3 points per game. A left-handed forward who can use his speed to get to the rim but also hit the midrange shot, James is known for his high-energy defensive play. After spending the last two years in Italy, where he was named a Serie A All-Star in 2014, James jumped to Russia this season where he’s averaging 12.6 points and 6.7 rebounds per game for Enisey Krasnoyarsk, the same team TBT Champion and Overseas Elite forward D.J. Kennedy suits up for. The 6-foot-2 point guard was stellar for the Sean Bell All-Stars in TBT’s South Regional, dropping 24 in their opening round win over the ATL All Stars before following it up with 13 against Team Charlotte Elite and 15 against Team No Excuses to punch their ticket to the Super-17. One of the best free-throw shooters in the country during his senior season with the University of Houston, clipping at a 92.2% rate, Nixon has played for a different team each of his six professional seasons. He currently plies his trade in Greece, averaging 9.6 points for GS Lavrio. Clinkscales is a New York basketball legend, having received attention from the New York Post, The Oprah Winfrey Show and The Rosie O’Donnell Show as a youngster, all of whom wanted to profile what the Post called a “prodigy.” After attending Shores Christian Academy in Florida, Clinkscales decided to go to DePaul for college before embarking on a professional career that has taken him to the D-League for two years and Canada for three, where he is currently suiting up for the NBL’s Halifax Hurricanes. Witherspoon is the only player on Sean Bell’s roster not from The Empire State, hailing from Atlanta and attending college at Memphis. The 6-foot-9 forward is in Venezuela this season, balling for the Guaiqueries de Margarita. 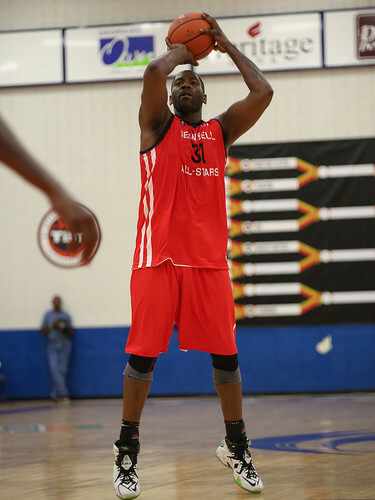 The pride of Delaware State, Malliet scored 9 points in Sean Bell’s opening round win over the ATL All Stars. He works as a branch manager at New York Community Bank and continues to play basketball, playing in local leagues throughout the area. Malliet also hops across the Atlantic every other month to visit his daughter in Sweden. Harrison has been a busy man following Sean Bell’s run to the Super-17 last summer. In addition to raising his daughter, Harrison, who played his college ball at American International, is coaching middle school basketball and training in hopes of playing overseas next year. 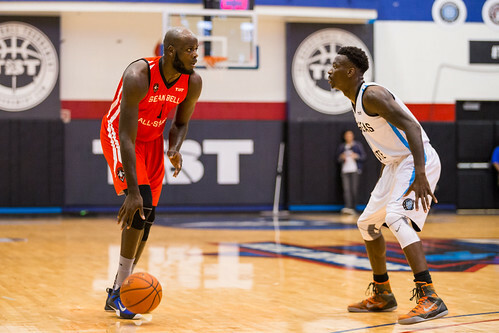 A familiar face in the New York basketball scene, Lytch was very consistent for Sean Bell, averaging 9.8 points and 6.7 rebounds per game at the forward position. After attending Oklahoma City University, Lytch went overseas, but is back home in Brooklyn now, tearing up the street ball scene that New York City is so famous for. And while we’re talking about a street ball legend, it’s only right that next we check in with William McFarlan. The 39-year old played his college ball at St. Thomas Aquinas College and followed it up with two years in Argentina, but that’s not where his fame comes from. 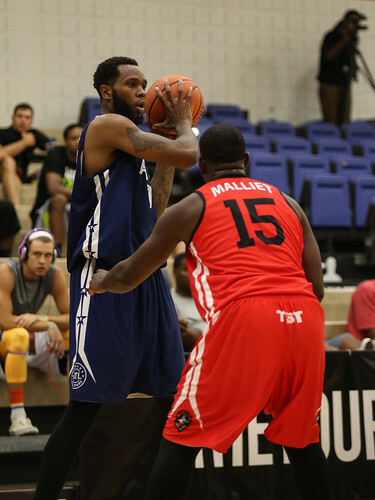 Simply known as “The Beast,” McFarlan’s longevity on the street ball court earned him a spot on Team Nike, where he has traveled across the country and world playing against some of the best to ever lace them up. Brown played for Steve Masiello, widely considered one of the best young head coaches in college basketball, at Manhattan and made the most of it, scoring over 1,000 points, setting a career record in blocked shots and earning three MAAC Defensive Player of the Year awards. He even helped lead the Jaspers to the NCAA tournament in 2014, their first appearance in the big dance in 10 years. After hooping over in Israel last year, Brown is back in New York, where he’s putting his degree in management to use. Another guy with deep streetball roots (catching onto a theme with this team yet? ), Roberts was huge in the South Regional, scoring 15 and grabbing 5 rebounds in Sean Bell’s 78-74 win over Team Charlotte Elite and adding 17 more in their 73-56 drumming of Team No Excuses. Roberts is working the NYC streetball circuit and getting himself ready for a busy summer schedule. 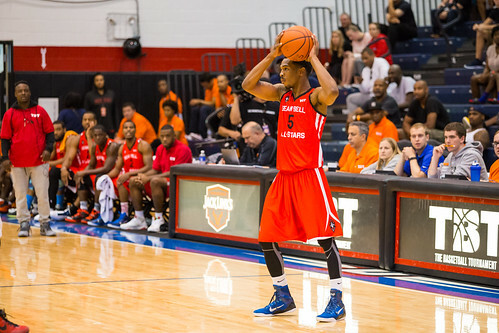 Boothe provided solid production for Sean Bell, averaging 7.3 points per game at the point guard position. 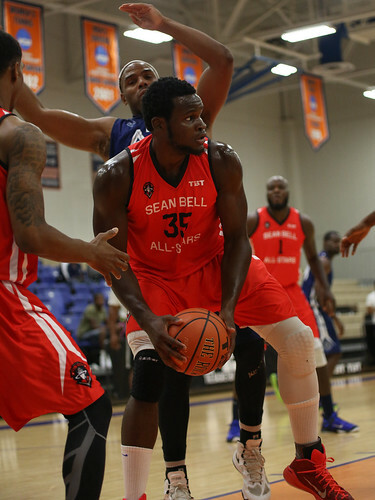 The former S. John’s star plays with Sean Bell year round.